The Ford Leadership Scholars program is a result of the Texas FFA Foundation and Texas Ford Dealers partnership to enhance the leadership opportunities of Texas FFA members. The purpose of the program is to: 1) Identify students who exhibit high levels of leadership at the chapter level. 2) Engage these identified students in a leadership development program created to enhance those qualities of leadership. 3) Recognize the Scholars to build a remarkable legacy for the future of our state and nation. The objective of the training week is to equip students to go back to their communities to develop substantial and sustainable community service capstone projects. Each year the program will select 10 new Scholars. They will be juniors in high school at the time of applying and must have met the requirements of the Lone Star Degree to apply. The applicants should be highly motivated students with a deep interest in the topic of leadership. The criteria for selection will be based upon six characteristics of leadership: action, relationships, vision, character, awareness, and continuous improvement. These six characteristics were identified by leaders of the agriculture industry as essential characteristics of leadership. The selection process includes an application, examination covering a leadership book, and an in-person evaluation. A selection committee will review applications and will conduct in-person interviews. How will Scholars enhance those qualities of leadership? The Scholars will participate in a week-long training seminar prior to state convention. During that time, they will begin to think about a community service project to work on for the remainder of their time as a scholar. Each Scholar will be assigned a mentor who will assist the Scholar through their leadership project during the fall semester. In late winter/early spring, each Scholar will present his or her project results to the entire group for evaluation. If completed successfully, the Scholar will have effectively completed the Ford Leadership Scholars program. What do Scholars receive as a result of the program? Scholars have a tremendous opportunity to grow as leaders through the training they will receive, the relationship with their mentor, and the exposure they will have to key business and industry leaders. The scholars will also be recognized on stage at the State FFA Convention and receive a $1,000 scholarship. How long does this process from application until conclusion take? Applications are due in January for the program. Selection of students will conclude in May. The training will be in June, and the community service projects begin in August. Project evaluation will occur in the spring. The entire Ford Leadership Scholars process should take about 1 full year from application until conclusion. The entire application is completed through the online roster system. Advisors must log onto the Roster System to select students to apply. The application process requires both student and advisor submission, so students should submit the application in a timely manner, allowing for advisor approval. Including: 2013, 2014, 2015, 2016, & 2017. Below is a map of what communities have been impacted by the Ford Leadership Scholars program and in what way. 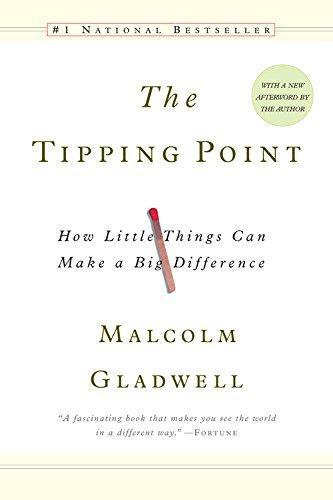 Announced December 3, 2018: This year's leadership text is "The Tipping Point" by Malcolm Gladwell. This text is part of the selection process and subsequent training. The exam for this text will consist of 50 multiple choice questions and will be open January 28 - February 1, 2019. Students will be allowed to take the exam one time, and the exam will be proctored by a campus administrator. Students will not be allowed to have the book during the exam. An email with more details will be sent to the scholar applicant finalists after the application due date. If you have any questions regarding the Ford Leadership Scholars Program, contact the Texas FFA Office, at austin@texasffa.org.